A new plan was announced on Saturday to develop and secure the health and resilience of the Great Barrier reef “for generations to come” by the Commonwealth and Queensland governments. Delivered in partnership between the Queensland and Commonwealth governments, The Reef 2050 Long Term Sustainability Plan combines for the first time all the expertise, work and science critical to maintaining the Reef for the next thirty years and beyond. Over the next ten years, the Queensland and Commonwealth governments expect to invest more than $2 billion in reef management and protection. Water quality: will be improved by reducing dissolved inorganic nitrogen loads by at least 50% by 2018 in priority areas. The ultimate aim is to achieve an 80% reduction in nitrogen by 2025. Pesticide: reducing loads by at least 60% by 2018 in priority areas. Wetlands: a net improvement by 2020 of natural wetlands and riparian vegetation (riparian means adjacent to rivers and streams). Wildlife: populations of turtle, dugongs and dolphins to be either stable or growing by 2020. Protect areas: further protect Keppel Bay, North Curtis Island and the Fitzroy Delta. The plan will be implemented by the scientific community, Traditional Owners, industry, the community and governments. The governments say they have worked together with industry and farmers to improve the quality of water that enters the Reef catchment, with a positive difference is already being detected. The Great Barrier Reef is an unbelievably diverse and rich environment. It is a maze of 1,050 islands and 3,000 coral reefs that stretch for more than 2,300 kilometres. 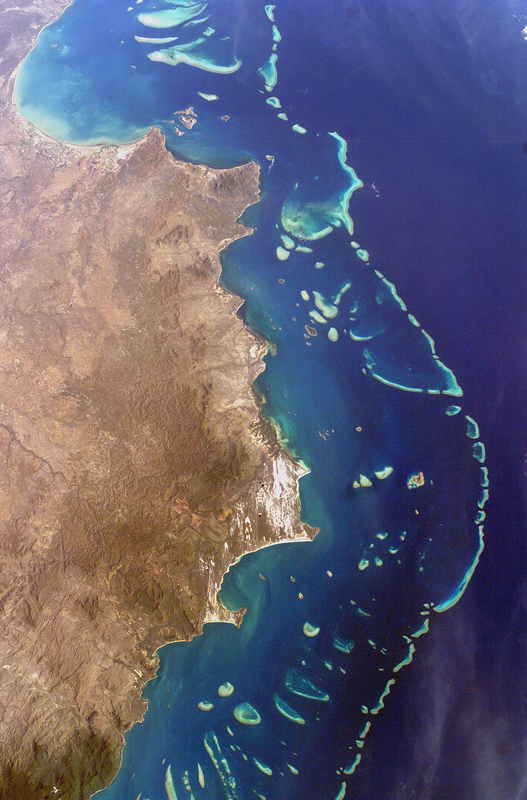 The Great Barrier Reef is one of the seven wonders of the natural world. It can be viewed from a great distance and is the only living thing on Earth visible from space. It is larger than the Great Wall of China. It is a breeding area for humpback whales that migrate from the Antarctic, and is also the habitat for a number of endangered species, including the Dugong (Sea Cow) and large Green Sea Turtle. It was listed as a World Heritage Site by UNESCO in 1981. Because of its natural beauty, it has become a sought after tourist destination. Internationally, it is regarded as among the best-managed marine parks globally.